Italy, the historically and culturally rich European country has been one of the favourite travel destinations of hundreds of thousands of tourists from all over the world. With its long and beautiful Mediterranean coastline, vast and delectable cuisine, wonderful culture and beautiful wines, it is surely one of the countries which should on every traveller’s bucket list. With some of the world’s most iconic sites and a rich culture, it is one of the most enticing cities that you can travel to in Europe. Italy is one of such countries which offer simply a ton of things to the visitors of the country, and each of them is wonderful enough to not miss. Starting from mesmerizing architectures to incredible art, from historic ruins to stylist cosmopolitan cities, from beautiful countryside to busy beaches, the list is literally endless. There are simply so many things to do in Italy, that it is literally quite a tough job to decide where to visit while planning a trip to Italy. That is why booking one of the private tour packages to Italy is actually the easiest and most comfortable way to travel to this beautiful country. And here are the top five places, some of which you trip must include if you want to experience the real Italy. The capital city of Italy, Rome, really doesn’t need any kind of introduction whatsoever. It is one of the cities which you have to visit when you visit Italy for a vacation. This historic city once used to be the centre and the heart of the Roman Empire. 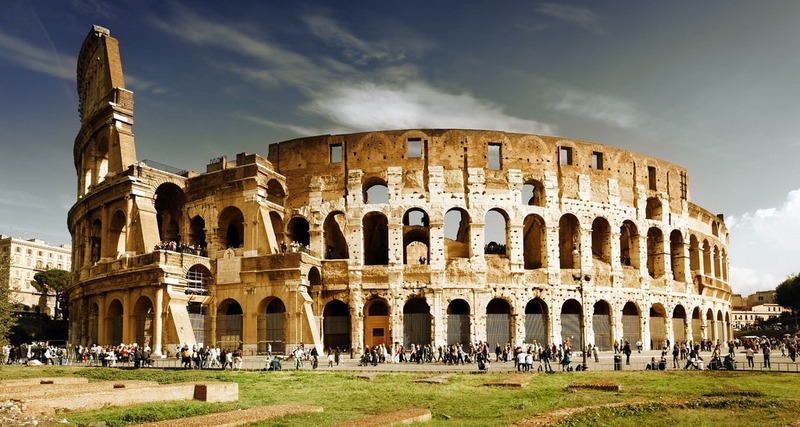 Full of iconic historic sites like the Colosseum, Pantheon, Forum and many others, Rome is one of the cities in Italy which you must visit if you want a glimpse of the colourful history of Italy. The juxtaposition of all these historic monuments, old style architectures and heritage buildings with the modern day Rome creates a truly surreal experience. Rome is also home to the Vatican City which is another must-visit destination while you are here. Explore destinations like the house of the pope, the Sistine Chapel, St. Peter’s Basilica, and much more while you visit here. Remember to visit the Trevi Fountain, one of the oldest water sources in Rome and maybe the most famous fountain in the whole world. One of the most iconic highlights of Italy is Cinque Terre. This beautiful region in Italy consists of five old fishing towns which sit on the beautifully rugged Italian Riviera coastline. This string of seaside fishing villages provides one of the most authentic Italian experiences that you can get while you are on your trip to Italy. The drive through the twisted, narrow cliff-edge roads to this beautiful region is an experience in itself. Tours to Cinque Terre are full of serenity and old-school vibes. Spend your time leisurely while exploring the vineyards, hike through some of the natural trails, taste the excellent seafood and local wines at the local cafes while you are here. How can you miss taking a trip to the most romantic city in the world, if you really want to experience the true Italy? This wonderful city will welcome you with its beautiful network of historic canals which you must have seen pictures of. Going on a gondola ride at dusk through these canal systems is one of the most romantic things you can do in this city. Take a trip to the famous St. Mark’s Basilica when you travel to Venice. Also, try and visit Lido, a relaxing seaside destination which is located just a short distance away from Venice. Italy is famous all over the world as one of the leading fashion destinations, and the city of Milan is the perfect destination to experience the fashion fever of Italy. Milan is respectably considered one of the most important fashion capitals of the world. Home to various world-famous designer fashion houses, a trip to Milan is simply a must if you truly want to experience Italy in all of its glory. Although the city is mainly dedicated to work and not travel, you can go on a serious and expensive shopping spree while you are here. Also, remember to roam around the flea markets to catch some awesome deals while you are here. Sicily, the largest Mediterranean island, is another destination in Italy which offers you another completely different yet authentic Italian experience. Apart from its famous historic temples and monuments, it is the perfect place for you to experience the life on an Italian Island. The beautiful coastline, the awe-inspiring landscapes, the crystal-clear waters make Sicily one of the best places in Italy to visit for a seaside vacation. Remember to go for an expedition to Mount Etna, the largest active volcano in Europe. Visit the Valley of Temples, a UNESCO World Heritage Site, which dates back to 5th century BC. Also, remember to try out Sicilian cuisine, which is quite different from your typical Italian cuisine.